The Lavaredo Ultra Trail (119 kilometers and 5,850 meters of climb) took place this weekend at Cortina d’Ampezzo in northern Italy. 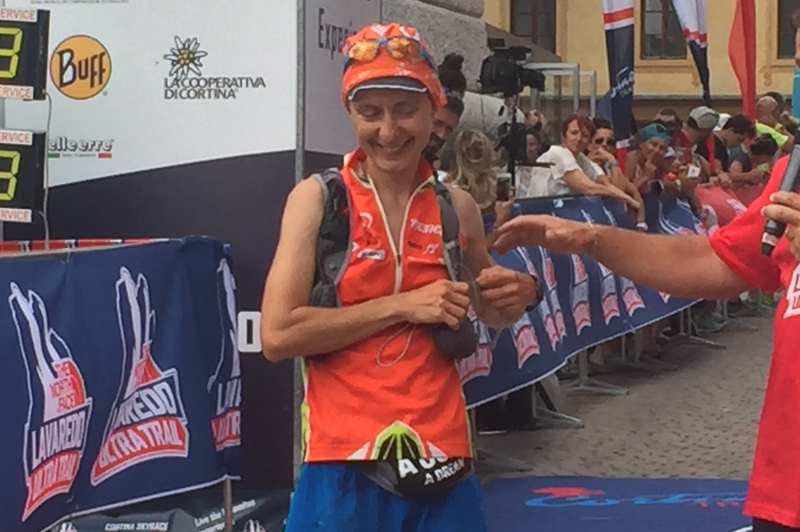 Caroline Chaverot of France claimed her second victory at Lavaredo in a winning time of 14:05 and 12th overall. Chaverot now has the two fastest times including the course record of 13:40 that she set in 2015. Fabien Antolinos of France claimed his first major victory with a stunning win in a fast time of 12:32 and only 17 minutes off the course record. He raced within himself for the first half and used that as a foundation to move strongly through the field to finish for the win. After a stormy preceding night, the conditions happened to be perfectly cool and dry enough for the 11 p.m. start in the centre of Cortina for the 11th edition of the Lavaredo Ultra Trail. As the runners amassed, the music blared out and the atmosphere became euphoric as the seconds ticked by, getting ever closer to the start time. It’s always a fast start at Lavaredo and this year was no exception, Catalan Pau Capell and a strong race favorite with his impressive streak of performances was leading it out and working together with New Zealand’s Scott Hawker as they reached Ospitale at the 18-kilometer mark. They had already created a one-minute lead on the chasing pack that included Norway’s Didrik Hermansen and American Seth Swanson. The women’s race had already set its stage, New Zealand’s Ruth Croft and Caroline Chaverot came in to the Ospitale aid station within seconds of each other. They had already stretched the gap on Poland’s Ewa Majer and Italian Lisa Borzani to seven minutes, such was this opening frenetic pace. The race proceeds through the forested trails with a short climb to Son Forca and into Federavecchia followed by a much bigger climb to Refugio Auronzo at 48k. Still with the lead came a strong Capell but now on his own as Hawker was having stomach problems and would drop much later. Swanson topped out the climb to the refugio looking deadly and in the hunt and ready to close that 10-minute gap. Hermansen and Lithuanian Gediminas Grinius were showing their experience and had moved up to third and fourth. Race winner Antolinos was clearly in good shape as he arrived less than one minute later and only 17 minutes off the lead. Chaverot arrived at the refugio in 5:22 elapsed with Croft three minutes later and very much looking to stay in touch and perhaps hustle Chaverot out of first place. As it happened for both the women’s and men’s races, the strategic advantage was to significantly change at around 67k at Cimabanche. After the tough climb to Auronzo, there is a long downhill stretch and a relatively flat section in and out of Cimabanche followed by a much shorter climb and a lovely descent to 75k and Malga Ra Stua. It was at Cimabanche that two significant things happened. Croft had been charging and was literally steps behind Chaverot at Cimabanche but that was to be the closest she would get to Chaverot who would step up the pace. Antolinos was in fifth and some 31 minutes behind leader Capell who was working hard to create a gap on Swanson. From Cimabanche to Malga Ra Stua and eventually to Col Gallina at 95k after a steep climb, Antolinos had made up those 31 minutes and was now in the lead. A superb section of running, but he did have a problem, a strong Swanson was hot on his heels and looking to close that gap. It was at Col Gallina that Capell, who arrived in third, would drop with dehydration issues. This put Italian favorite Fulvio Dapit in third ahead of Hermansen. But it was not this Norwegian that he had to fear, it was another one, Erik-Sebastian Krogvig, who had been running in seventh or eighth most of the way. By Passo Giau at 104k, Krogvig was hot on the heels of Dapit. By the time Chaverot had reached Col Gallina, she had put 25 minutes on Croft and it was only to stretch out more as the remaining kilometers passed by. After losing the lead to Swanson briefly over the remaining climb, Fabien Antolinos had managed to fight back to regain his lead. He came into Cortina with around a two-minute lead, leaving him the opportunity to savour the crowds cheering as he came to the finish line for his first major victory. He ran a smart race. Krogvig had also raced hard and smart and unfortunately for Dapit took the third and last place on the podium. 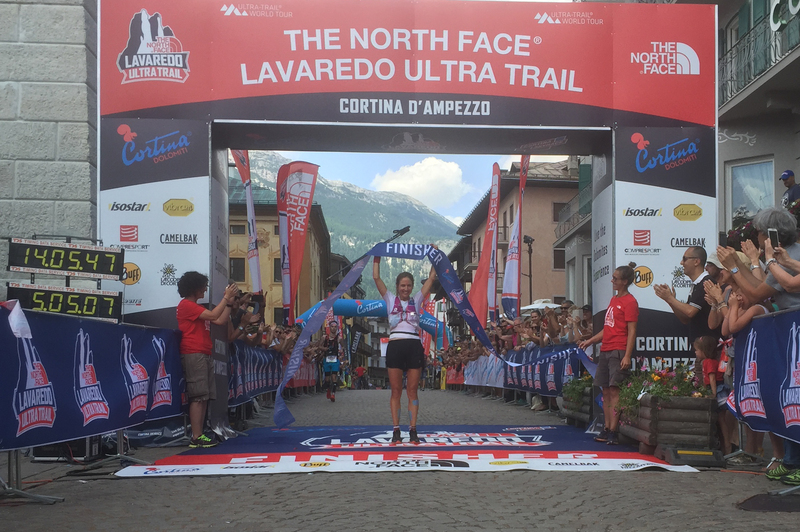 The announcers called her the ‘Queen of Cortina’ and who could deny her that title, Caroline Chaverot powered her way to the finish line to claim yet another impressive victory and her second at Lavaredo. Croft had run a tough race, had tried to hustle Chaverot, but was out paced. That said, she never gave in and was rewarded with second place. Borzani ran strong all the way, holding third place from way back before Refugio Aurunzo but was unable to sustain the pace of either Chaverot or Croft. 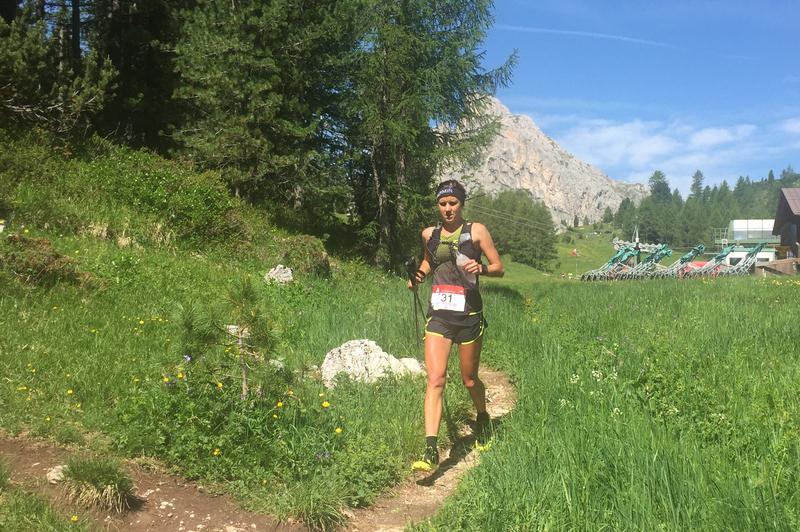 Caroline Chaverot, 2017 Lavaredo Ultra Trail Champion. Erik-Sebastian Krogvig taking third at the 2017 Lavaredo Ultra Trail. Lisa Borzani after taking third. This entry was posted in Lavaredo, Uncategorized and tagged Aliza LaPierre, Andris Ronimoiss, Caroline Chaverot, Cortina, Damian Hall, Didrik Hermansen, Erik-Sebastian Krogvig, Ewa Majer, Fabien Antolinos, Fulvio Dapit, Gediminus Grinius, Jo Meek, Julien Chorier, Lavaredo Ultra Trail, Lisa Borzani, Luzia Buhler, Maud Gobert, Pau Capell, Robert Hajnal, Roxane Ardiet, Ruth Croft, Scott Hawker, Sebastian Chaigneau, Seth Swanson, The North Face Lavaredo Ultra Trail, Vroni Heidrich on June 28, 2017 by Ian Campbell. In this month’s column we bring you news from the opening rounds of the Ultra Trail World Tour and the latest UTWT standings, as well as a selection of news from the blogs. The opening round of the 2017 Ultra Trail World Tour in Hong Kong had improved conditions with some milder temperatures and rain. Yanqiao Yan from China captured the win but a decent margin of twenty six minutes over Italian Daniel Jung. Sage Canaday was the top American in third place. Other notable finishers in this early season head to head were Didrik Hermansen 4th, Tim Tollefson 5th, Seth Swanson 6th and Julien Chorier 10th. Nuria Picas returned to her winning ways in dominant fashion with an emphatic victory over China’s Linming Chen by some thirty five minutes and in the process besting the old course record by over forty minutes. New Zealand athlete and Hong Kong based Marie McNaughton took third place in what appears to be her fastest time on this course. American Jim Walmsley cruised to victory unchallenged in an incredibly fast record time of 7:23 leading from virtually the get go. Walmsley was more than forty five minutes ahead of second placed Jonas Buud who is no slouch when it comes to fast trails. The final spot on the podium was for New Zealand’s Sam McCutcheon. Other notable finishers in this hotly contested race in New Zealand were Gediminas Grinius in 5th, Matt Flaherty 7th and Michael Wardian 8th. In a similar vein the women’s race was won by leading from the front, Camille Herron beating second place Magdalena Boulet by around twenty four minutes. It was a narrow margin for third placed Cecilia Flori who was only ninety seconds behind Boulet. Fiona Hayvice who won last year in 10:34 finished sixth in 10:06 such was the step up in competition this year. Fernanda Maciel took 7th and Sophie Grant 10th. Trangsrancanaria is the first UTWT race of the season in Europe with a distance of 125km and with 8,000 metres of ascent it is a serious early season challenge. The runners traverse from the north of the island to the south and the massed crowds on the beach of Maspalomas. This year’s men’s winner was a richly deserved Pau Capell in a fast time of 13:21 beating Didrik Hermansen’s winning time from 2016 by a huge twenty minutes. Lithuanian Vaidas Zlabys placed second fourteen minutes later with Hermansen settling for third place this year. Other top ten finishers included Diego Pazos 8th, Andy Symonds 9th and Timothy Olson 10th. The women’s race was dominated by Spain’s Azara Garcia in her first race of over 100 kilometres. A challenging last 40 kilometres where she had difficulty eating and drinking made the closing efforts more intriguing but Garcia still managed to eclipse second place Andrea Huser by over forty five minutes. In third place was Melanie Rousset less than fifteen minutes behind. Other top ten finishers Ildiko Wermescher 5th, Juliette Blanchette 7th, Lisa Borzani 8th and Manuela Vilaseca 10th. In the continuing adventure ‘Summits of My life’ Jornet recently announced he will once again go back to Everest. On his return he has a full bag of trail racing, Marathon du Mont Blanc, Hardrock and UTMB amongst others. Somewhere in all this racing he will travel to the UK to take on the famous Bob Graham Round. Brazilian ultra runner and mountain biker, Manuela “Manu’ Vilaseca trains hard and invariably finishes top ten in some of the tougher mountain races such as UTMB and Transgrancanaria. ‘Catch me if you can’ is Manu’s catch phrase! More regular updates on her athlete Facebook page. Find out more about Andrea Huser on her Facebook page. Swiss athlete Huser loves the mountains. Looks like this year she will spend some time in the US in preparation for Western States at the end of June. Italian Francesca Canepa looks like she is heading to Croatia to compete in the 100 miles of Istria a UTWT event. Checkout her Facebook page to keep up to date. 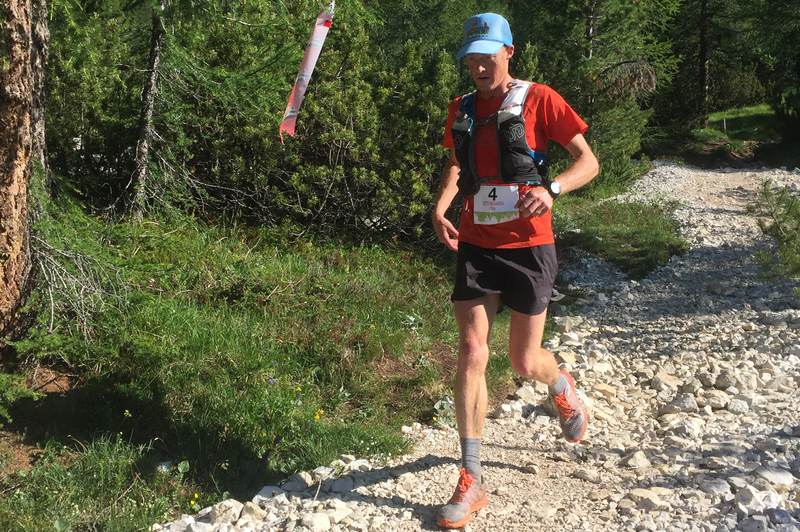 Lithuanian athlete Gediminas Grinius came on the scene about two years ago at Lavaredo Ultra Trail and has continually impressed showing it was not a fluke performance. I like his mantra ‘Time is Time’ so don’t look for his blog which is not regularly updated but check out his Facebook page for updates. He is currently running in the US. Does he really need an introduction… Mike races practically every weekend and sometimes both days or indeed in the morning and then in the evening. He is scheduled to run Western States at the end of June and then Hardrock three weeks later. Even with MW’s prodigious racing calibre that is a tall ask…. bring it on!! Here is a recap on scoring for UTWT events. These are points awarded to the winner of the various category races. Three rounds of this year’s Ultra Trail World Tour have been raced, Vibram Hong Kong 100 (Pro), Tarawera Ultramarathon (Pro) and Transgrancanaria (Series). Leading the way after three races are Didrik Hermansen with 1,295 points and Azara Garcia with 1,000 points. Transgrancanaria as a Series race commands more points than the Pro races (Vibram HK and Tarawera). Critically, later on in the season Marathon des Sables and UTMB are the only two Series with Bonus races and could prove crucial to who wins the 2017 UTWT. This entry was posted in Ian Campbell Adventures, Uncategorized and tagged Andrea Huser, Andy Symonds, Azara García, Camille Herron, Daniel Jung, Didrik Hermansen, Diego Pazos, Fernanda Maciel, Fiona Hayvice, Francecsa Canape, Gediminus Grinius, Ildiko Wermescher, Jim Walmsley, Jonas Budd, Julien Chorier, Juliette Blanchet, Kilian Jornet, Linming Chen, Lisa Borzani, Magdelena Boulet, Manuela Vilaseca, Marie McNaughton, Matt Flaherty, Melanie Rousset, Michael Wardian, Nuria Picas, Pau Capell, Sage Canaday, Sam McCutcheon, Seth Swanson, Sophie Grant, Tarawera Ultra Marathon, Tim Tollefson, Timothy Olson, Transgrancanaria, Vaidas Zlabys, Vibram Hong Kong 100, Yanqiao Yan on March 31, 2017 by Ian Campbell. 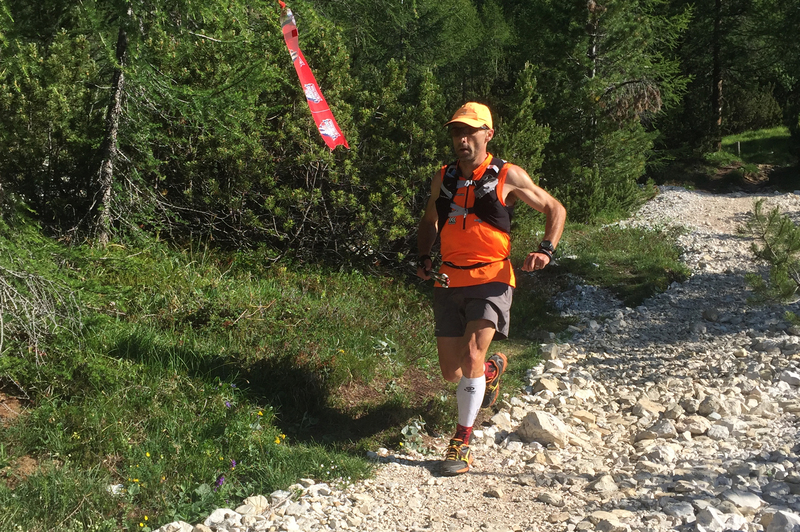 An exciting race unfolded at the 2016 Lavaredo Ultra Trail with Great Britain’s Andy Symonds dominating the race from start to finish and setting a new course record in a time of 12:15:06. Switzerland’s Andrea Huser demonstrated her solid racing credentials at this 119km distance with a deserved win in a time of 14:32:39. The scene was set in the mountain town of Cortina in the Italian Dolomites; and 119km of sweet trails and beautiful vistas was on the menu. The weather in the days ahead of the race had steadily risen in temperature from the low teens to a very warm 30 degrees Celsius. But fortunately just two hours before the start, the heavens opened and relieved the heat, making it a bit more bearable. As the runners amassed at the start line, pre-race nerves and anticipation were swapped for readiness for the 11p.m. start time. The gun went off and the runners charged down the paved streets of Cortina with a large crowd cheering them all the way. It was sign of things to come as the pace never even settled, it was frenetic from the start and it didn’t cease. By the time they had reached Ospitale at 18km, race winner Symonds was in the top three and only two minutes off the course record pace set by last year’s winner Didrik Hermansen, and it was only to get better as the race progressed. Scott Hawker and Pau Capell Gil were also in the top six, a position they were to hold throughout the race. By the time the field reached Federavecchia at 33kms Symonds was a clear front leader and starting to make ground on the course record. Lithuanian Gediminas Grinius had slowly moved up and was in fourth and by Refugio Auronzo at 48km he was in second place just seconds ahead of Sylvain Court of France. Symonds’ lead was four minutes at this stage and incredibly he kept increasing this lead with a dominant display of running, dipping under course record pace by a full 10 minutes from Cimabanche (67km) onwards. Grinius worked hard in the latter stages to reduce the deficit, eventually finishing eight minutes behind the winner and also under the old course record. The surprise of the day was the performance of Spain’s Javier Dominguez, at 33km he was not even in the top 10, moving to seventh at Malga Ra Stua (75km). His progression to a third place podium spot was phenomenal as he was five minutes behind Hawker and Capell Gil at Malga Ra Stua and when they had reached Passo Giau (102km) he had taken third spot passing Hawker, Capell Gil and Court and remained solid from there to the finish line. But the day was all about Andy Symonds complete dominance and front running at an unrelenting pace, a true privilege to have witnessed. Andrea Huser finally claimed a significant major race victory to add to the many podium places she has earned over the years. She really has this distance nailed and her disciplined approach allowed her to take first place in a time of 14:32 whilst her competitors could not match her unrelenting progress through the field. Huser’s final time was over forty minutes ahead of second placed Uxue Fraile Azpietia of Spain with a time comparable to Rory Bosio’s winning time of 2014. Brazil’s Fernanda Maciel took the final podium spot as she fought hard to move up the field from outside the top five at Refugio Auronzo (48km). Maciel’s time being less than seven minutes behind Fraile Azpietia and looking strong all the way through to the finish. Cristina Follador was the top Italian finishing in fourth and looking remarkably fresh at the end. New Zealanders Marie McNaughton and Sophie Grant impressed with really strong runs finishing fifth and sixth. It was refreshing to see Lizzy Hawker back on the international racing scene, and in the early stages she was lying in fifth place, finally placing in the top ten in ninth, after a spell of power hiking with Bosio and Mike Foote who were both having a tough day on the trails. Sophie Grant on her way to sixth place – still smiling! But ultimately this was Huser’s day to celebrate a long awaited international race victory. 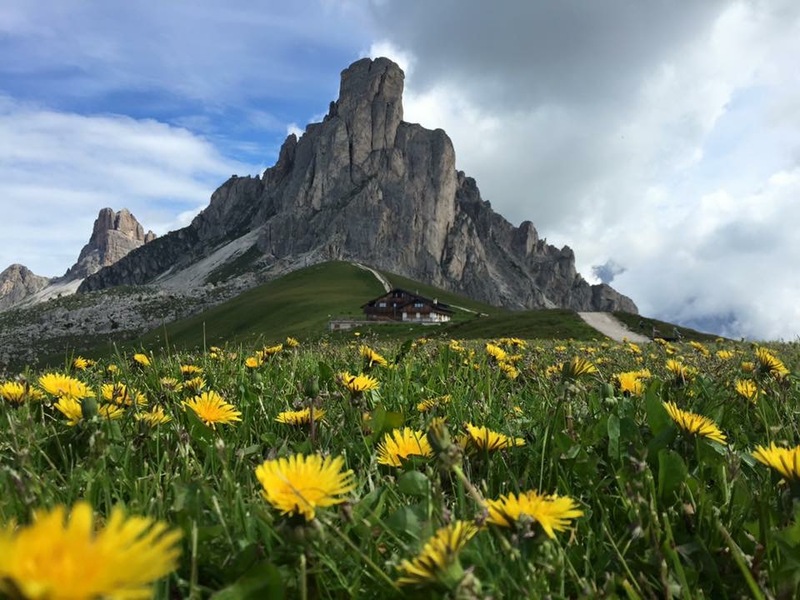 This entry was posted in Lavaredo, Uncategorized and tagged Andrea Huser, Andy Symonds, Antony Gay, Christina Follador, Fernanda Maciel, Gediminus Grinius, Giuliano Cavallo, Javier Dominguez, Jonas Budd, Katie Roby, Lavaredo Ultra Trail, Lizzy Hawker, Manu Vilaseca, Marco Zanchi, Marie McNaughton, Pau Capell, Scott Hawker, Sophie Grant, Sylvain Court, The North Face Lavaredo Ultra Trail, Ultra running, Ultramarathon, UTWT, Uxue Fraile, Yulia Baykova on July 5, 2016 by Ian Campbell. In this month’s column we bring you news from the third round of the Ultra Trail World Tour, the latest UTWT standings as well as a selection of news from the blogs. Norway’s Didrik Hermansen and France’s Caroline Chaverot improved on their 2015 second places to win the 2016 edition of this race and in the process both smashing the course records by a considerable margin. Two different race tactics were employed, Hermansen running with the lead group, biding his time and then charging at just over the halfway mark, whilst Chaverot, showing supreme confidence in her ability, charged from the front and just kept increasing that lead as the miles went by. Gediminas Grinius had a solid race beating his time from last year by thirty eight minutes and adding to his tally of UTWT points and ranking. In joint third was Catalan Pau Capell, running with Switzerlands Diego Pazos for much of the second half of the race. In the women’s race Chaverot’s lead was nearly a whole two hours ahead of Switzerland’s Andrea Huser followed shortly by Spain’s Uxue Fraile Azpeitia. Nuria Picas dropped from Transgrancanaria in Artenara (33km) citing a psoas muscle injury to her left leg. It looks like Nuria will be in Soller, Mallorca in the middle of March helping Tofol Castanyer with his training camp over three intense days. One thing is for sure the trails are fantastic in Mallorca and Soller is a really beautiful place to be based. Emelie Forsberg had a well-publicized ski accident in early February where she tore her cruciate ligament meaning that she will be out of trail running action this season. Her rehab continues with measured amounts of isometric exercises and cycling on a turbo trainer. We wish her a speedy recovery. Look out for Anna Frost in the Lake District, UK when the rest of the Salomon team meet for the Salomon Advanced Week in April. Anna also has Transvulcania and Hardrock 100 on her schedule as well a trip to Bhutan in October among other things. Didrik’s Facebook account confirmed that he took it easy as he worked his way up the field at Transgrancanaria before taking first place on the downhill towards Ayaguares with around twenty five kilometres to go. What was not apparent was the back and forth that he and Gediminas Grinius had had leading up to this point. View www.irunfar.com postrace interview for a more in depth analysis. Hermansen also held a contest to guess his TGC finish time. Fredrik Olmqvist guessed to within eight minutes. Given that Hermansen blew away the old course record by forty two minutes, it was a well-informed guess! A thoughtful piece from Gediminas about potentially overtraining leading into Diagonal des Fous in 2015 – ‘was a disaster, which I never would like to repeat’ at Diagonal des Fous and refocusing for 2016. Grinius tells us about his race plans for 2016 starting with Vibram HK – ‘A’ race and third place, Transgrancanaria – ‘B’ race not bad as he came second, 3R (rock and roll and recreation), Lavaredo in June ‘B’ race, UTMB – obviously an ‘A’ race and Diagonal des Fous – ‘A+’ race again ‘Put all in – revenge!’ We can’t wait to see how his seasons pans out. What’s clear is that Grinius wants to re-balance his running commitments with the rest of his life. Tim Tollefson had a character building race at Transgrancanaria. Finishing in 101st place in a time of 19:37:14 it was surely not the plan from the outset. Tollefson’s Facebook post shortly after the race says it all ‘It was absolutely stunningly gorgeous. Objectively if I could’ve appreciated that I would’ve been happy but since I was in so much agony I’d look up and see the view and say “oh that’s cool” and then go back to realizing how horrible this is’ and the reason ‘My quads were shot and blister ridden feet felt like hamburger meat’. Thanks for the insight Tim and massive congratulations on gutting it out for the finish. The next event in the UTWT calendar is Marathon Des Sables in Morocco from April 10th to 15th. This will be the 31st edition of this challenging multi-stage event covering 250km. A whole host of quality North African athletes, including several past winners will be taking it out from the front. The notable International athletes competing are: Elisabet Barnes, Erik Clavery, Laurence Klein, Meghan Arbogast, Jason Schlarb, Marco Olmo and Sondre Amdahl. This entry was posted in TransGrancanaria, Uncategorized and tagged Andrea Huser, Anna Frost, Caroline Chaverot, Didrik Hermansen, Diego Pazos, Dong Li, Elisabet Barnes, Emelie Forsberg, Erik Clavery, Gediminus Grinius, Jason Schlarb, Jonas Budd, Laurence Klein, Marco Olmo, Meghan Arbogast, Nuria Picas, Pau Capell, Silvia Trigueros, Sondre Amdahl, Tim Tollefson, Ultra running, Ultramarathon, UTWT, Uxue Fraile on March 18, 2016 by Ian Campbell. Two different tactics were employed at the 125km Transgrancanaria this weekend. Go out hard from the gun and keep charging or hang with the lead group and wait for the moment to charge. Fortunately both strategies ended with wins and course records for France’s Caroline Chaverot 15:23:40 and Norway’s Didrik Hermansen 13:41:48 respectively. For Chaverot it was an inspired performance showing absolute confidence in her ability and sheer guts to take it out from the front and just keep charging knowing that you have a strong field behind you ready to pounce at any slip up. After 125km of ultimately controlled running by Chaverot her lead was nearly two whole hours ahead of Switzerland’s Andrea Huser in 17:21:43. In third place and only seven minutes behind was Spain’s Uxue Fraile Azpeitia in 17:28:05. On the other hand Hermansen played it conservatively, at first running his own race but keeping in the lead pack and then pushing harder and then harder still to take the lead. His was a race of guts as well, knowing that he had some really strong guys behind him that he had overtaken but who could quite easily reel him back in with any momentary slip up in pace. But he didn’t slow up and once he had that lead he took it all the way, again with total confidence in his ability. His finish time of 13:41:48 created a new course record by a whole forty two minutes. Lithuanian and 2015 Transgrancanaria champion Gediminas Grinius came in a strong second in a time of 13:45:08. In joint third were Catalan Pau Capell, winner of the Advanced race in 2015, with Switzerland’s Diego Pazos both in a time of 14:11:02. As the clock chimed 11PM in Agaete the seventeenth edition of the Transgrancanaria started on the north west of the island of Gran Canaria. The amassed runners would have a challenging race ahead of them with not only 125km of technical running but a mixture of temperatures to deal with along their journey. The night time journey would be cold with strong winds and low cloud cover followed by 25C dry and arid heat as the midday sun rose through the afternoon. For many a second night would be part of their journey as they attempted to finish within the 30 hour cut off at 5AM on Sunday morning. Artenara is at 33km and is a crucial point in the race. Frenchman Aurelian Collet (3:49 elapsed) had built a lead of one minute ahead of # Capell, Pazos, Grinius and Longfei Yan followed by Jordi Gamito-Baus and Andy Symonds a further minute behind. All in fairly close contention at not even the midway point. By contrast Chaverot reached Artenara with an elapsed time of 4:13 and a twenty one minute lead over Emelie Lecomte. Nuria Picas followed very shortly but was to drop out at this point with a psoas injury. At Teror (56km) Collet was in with 6:09 elapsed followed by Pazos two minutes later. Grinius & Hermansen were in third and sixh places and running strongly only two and eight minutes back from Collet. Julien Chorier was in a top ten position but was rattled by not being able to pick up some supplies at this aid station. Chaverot’s lead at Teror had built up to thirty nine and forty four minutes over a second and third placed Huser & Azpeitia. As daylight broke, the runners reached (82km) past Roque Nublo and onto the checkpoint in the woods of Garanon. Still in the lead was Collet at a fast pace (9:35 elapsed) seven minutes ahead of Grinius who looked like he was working hard. Hermansen was now on his charge and was only two minutes behind Grinius and was moving comfortably climbing up to the aid station. The course this year had rerouted its last twenty five kilometres to make for a better finishing route and runners were treated to a slightly technical but more enjoyable finishing experience. At the small village of Ayaguares (107km) situated next to a dam and just prior to another ascent was the penultimate aid station. The runners came in and did a mini switchback through the aid station before heading back and then over the dam wall and onwards and upwards. Hermansen arrived first, coolly running into the aid station with 12:17 on the clock. As Grinius was literally two minutes behind, Hermansen made a very quick exit to try and extend his short lead. Grinius conscious of the twenty five kilometres left and the effort he would need to chase down Hermansen decided to make sure he refuelled well and stayed in longer. Collet was in third, look tired and five minutes down followed by Capell and Pazos who were running together in fourth and fifth. Andy Symonds was in sixth looking comfortable with an easy running stride. The wait for Chaverot wasn’t long as she arrived with 13:34 elapsed. Looking fresh and with plenty of zip she cruised in and out of the aid station amid loud cheers. But the wait for a second place Huser was long, 1:40 and she looked tired but made sure to refuel properly by walking out of the aid station. Azpeitia was ten minutes down on Huser and obviously made up ground in those final kilometres but not enough to take second. All credit to Huser. 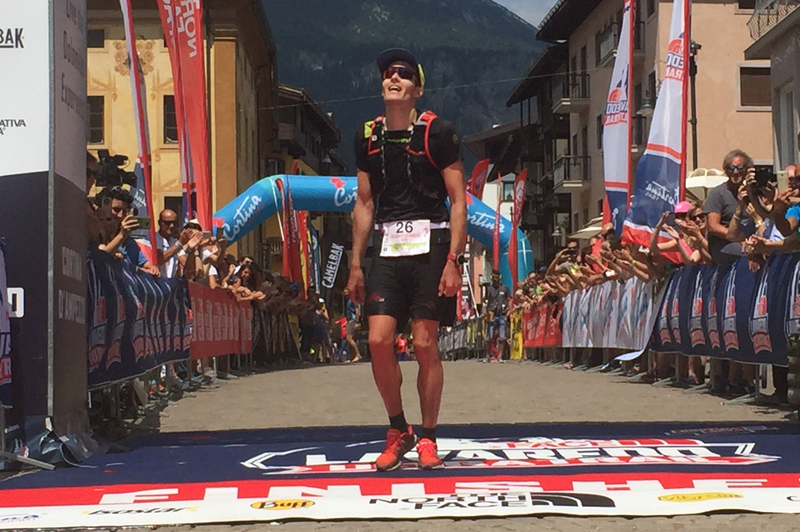 Hermansen’s win followed his second place here last year and his win at Lavaredo. He goes on to Western States and hopefully UTMB later this year. He is on the up and we look forward to seeing him again on the big stage. Chaverot was clearly in a race of her own. Phenomenal pace and guts to take it out from the front which is fast becoming her trademark method. Again, like Hermansen she won at Lavaredo last year and was second at TGC. Is this the forming of a new guard? This entry was posted in TransGrancanaria, Uncategorized and tagged Adriana Vargas, Alexandra Clain, Andrea Huser, Andy Symonds, Aurelian Collet, Caroline Chaverot, Denise Zimmerman, Didrik Hermansen, Diego Pazos, Dong Li, Gediminus Grinius, Javi Dominguez, Jonas Budd, Jordi Gamito-Baus, Julien Chorier, Lucinda Sousa, Nuria Picas, Pau Capell, Silvia Trigueros, Sophie Grant, Transgrancanaria, Ultra running, Ultramarathon, UTWT, Uxue Fraile, Vaidas Zlabys on March 9, 2016 by Ian Campbell.